Get in touch with Proven Contracting today to book a free estimate! Please call our Northern NJ office at: 973-200-7278 or our Central/Southern NJ office at: 732-800-4616. Thank you for choosing Proven Contracting. We look forward to working with you! Ask about our Financing options. Thank you for choosing Proven Contracting. 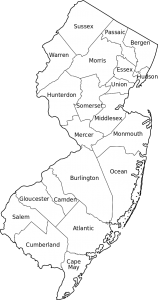 Proven Contracting services all of New Jersey. From Ocean County up to Sussex. We have multiple locations so we are always around the corner. Your satisfaction is our number one concern. Whether or not your project is large or small you will always be our priority. Adding a new roof, gutters, siding or windows will not only beautify your home, it will also add to its value for many years to come. Our services are a safe and smart financial investment. We look forward to working with you soon. Call us today to schedule your free estimate and set up a time for one of our staff members to stop by and discuss your project with you. We look forward to speaking with you soon! We use the best products on the market and quality craftsmanship is never compromised. Call us today to learn more about all of our services and manufacturers we work with. Thanks again for choosing Proven Contracting of NJ.